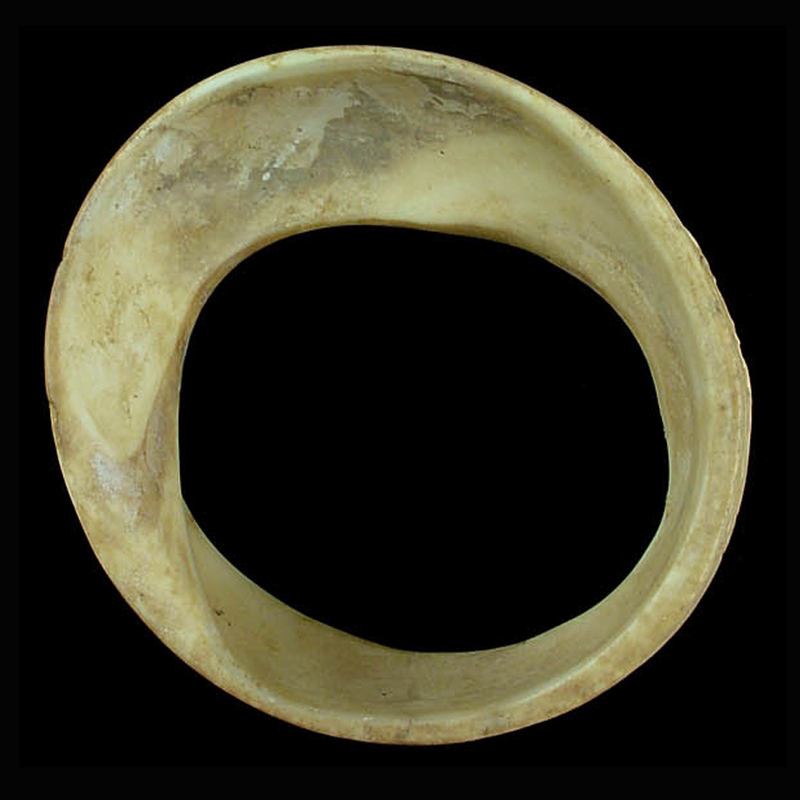 A shell bangle carved from a section of tridacna (clam) shell from the Persian Gulf, the exterior surface with a series of finely incised scenes including a charioteer; a rider on horseback hunting a deer; a worshipper approaching a seated goddess, and a cow suckling her calf. 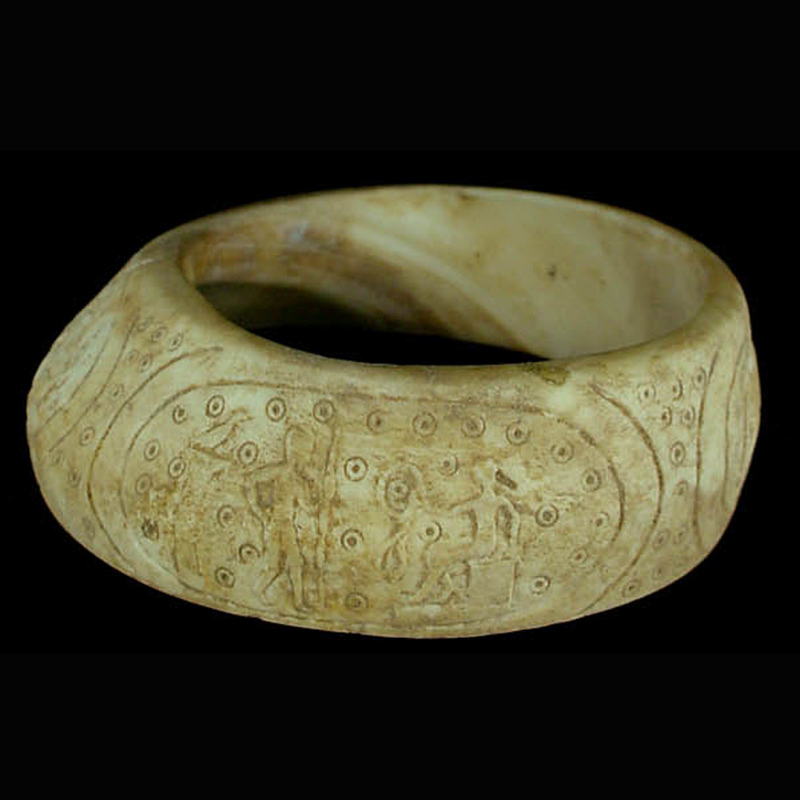 A shell bangle carved from a section of tridacna (clam) shell from the Persian Gulf, the exterior surface with a series of finely incised scenes including a charioteer; a rider on horseback hunting a deer; a worshipper approaching a seated goddess, and a cow suckling her calf. 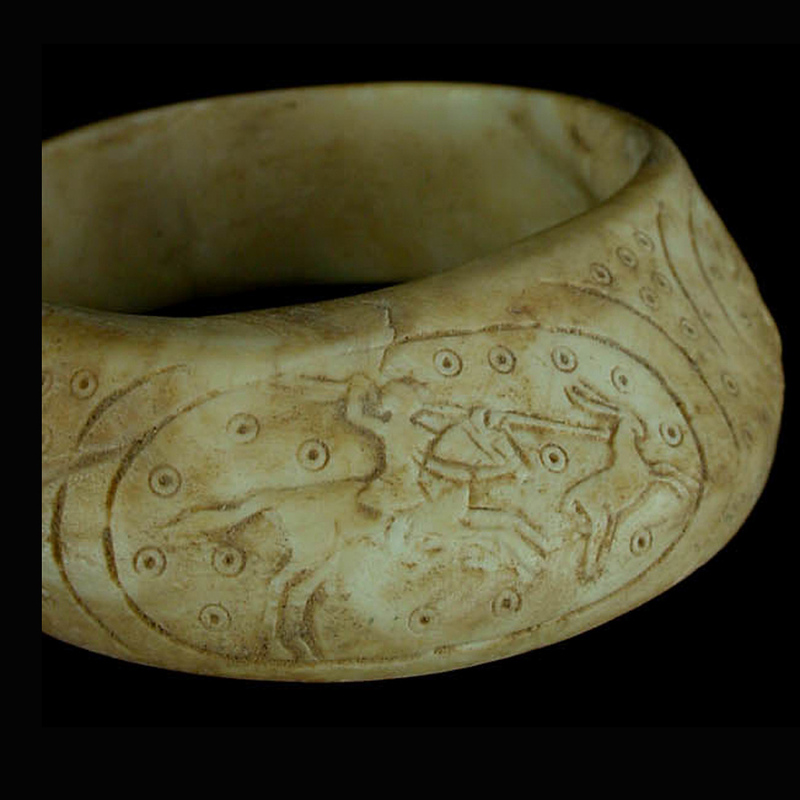 An incised dotted circle motif has been used by the carver to embellish the spaces between and surrounding the figural scenes. The designs show influences of both Achaemenid and Hellenistic art. Baluchistan region, Hellenistic period (Seleucid Empire), 4th-1st century B.C. Intact, with dryish patina; the carving with wear and patina consistent with great age.